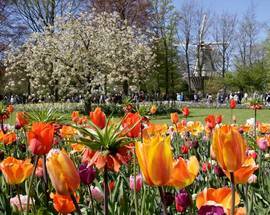 What is today a large park famous for its annual floricultural show, was once a castle and grounds. The name, meaning Kitchen Garden, dates to the 15th century when it is reputed that Jacoba, Duchess of Bavaria and Countess of Holland, Zeeland and Hainaut, used to come here to pick vegetables and fruit for her kitchen at nearby Teylingen Castle. A castle and sprawling estate were created here in 1641. The ‘English’ style, which still forms the basis of the castle’s gardens, is the brainchild of landscape architects Jan David Zocher and his son Louis Paul, who redesigned the grounds in the 1850s. 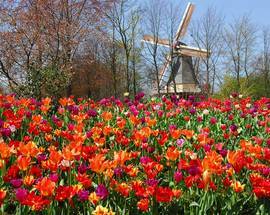 Following World War II, a plan was hatched by the mayor of nearby Lisse and Dutch flower bulb exporters to create a showcase to help the industry get back on its feet. 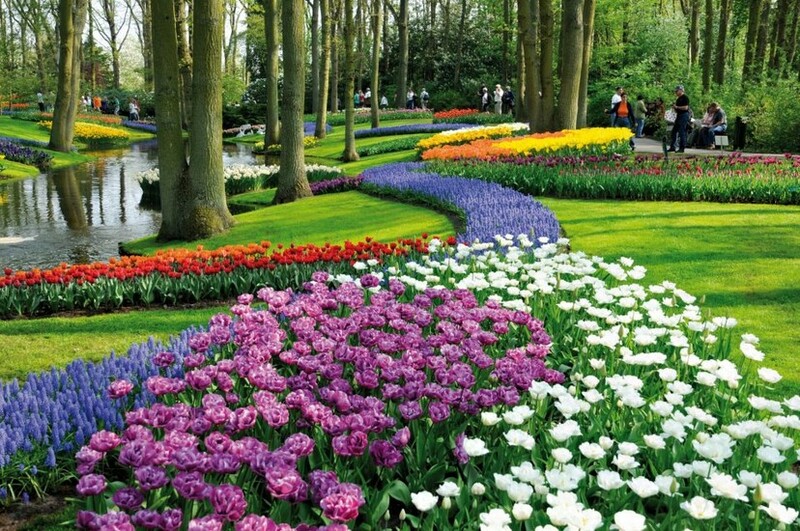 They decided to use the wonderful backdrop of the estate, which was now in public hands, to exhibit spring flowering bulbs and Keukenhof quickly became famous. The first exhibition took place in 1950 and proved an immediate success with nearly a quarter of a million visitors in its first year. The exhibition has grown in popularity over the last seven decades and now draws visitors from all over the world. 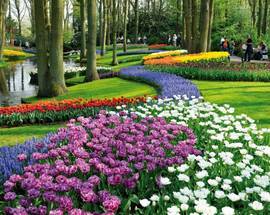 For eight weeks from the end of March to the middle of May Keukenhof displays the very best, the Dutch floricultural industry has to offer. Over 100 companies bring their work to life with an estimated 7 million flowers set to bloom over an area of 32 hectares during the period of the show. 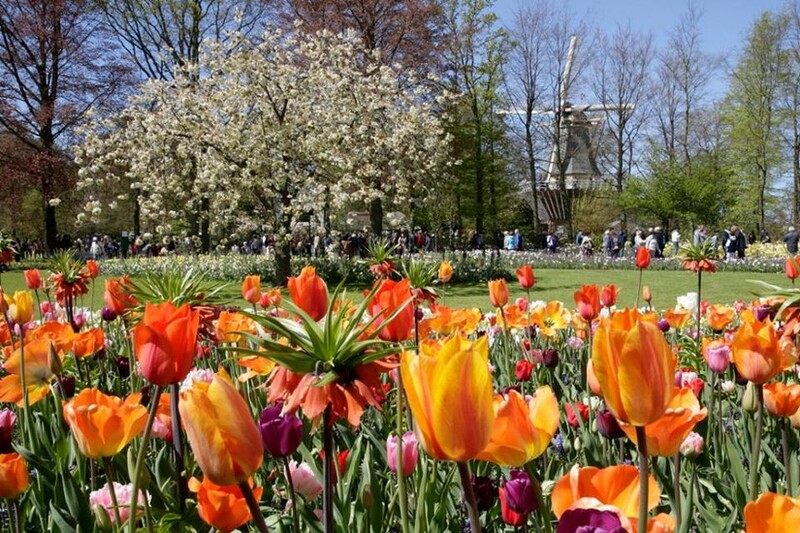 Don’t be mistaken in thinking that this is solely about the national flower of the Netherlands – the tulip – as over 500 flower growers are present displaying an enormous variety of cut flowers and pot plants in over 20 shows which take place over the eight weeks. 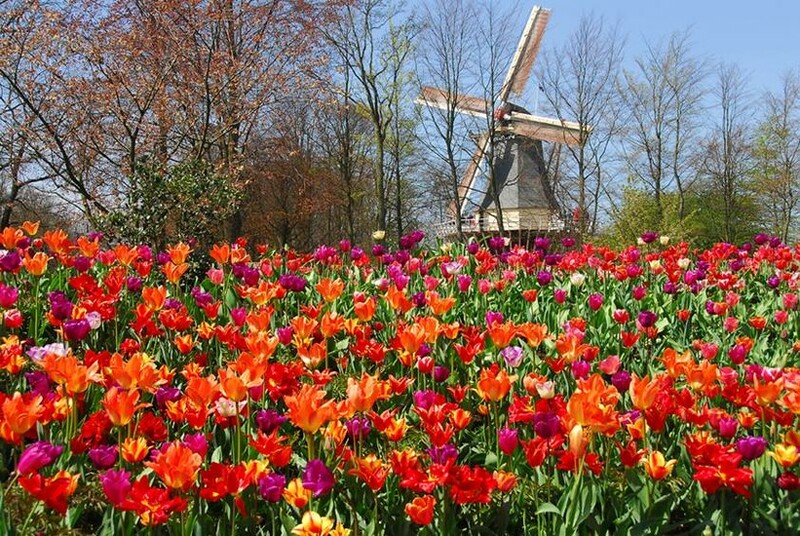 That said, you will get to see tulips with over 800 varieties on show. You can experience the park on-board one of their special electric ‘Whisper Boats’ or you can learn more about the flowers you are seeing by joining one of the free tours which take place each afternoon beginning at 14:00 from the Juliana Pavilion. There are a number of themed shows during the exhibition. Ticket office open 08:00 - 18:00. Adults (incl. 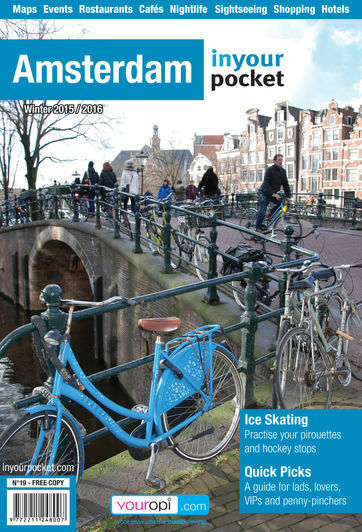 65+) €16, children (aged 4 - 11) €8, children (aged 0 - 3) free of charge; whisper boats €8, children (aged 4 - 11) €4; parking €6.